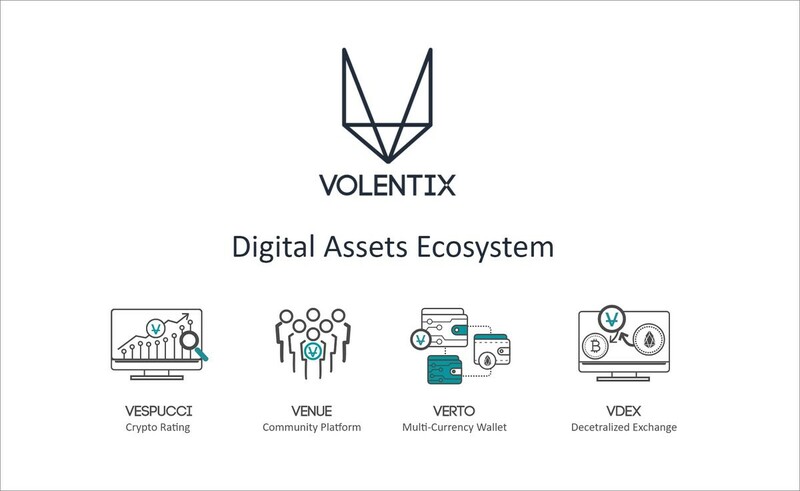 Volentix is a cryptocurrency-based multifunctional ecosystem that consists of four pillars DApps, which work in synergy with each other for the improvement of their effectiveness and for the betterment of the whole ecosystem. One of them, a very powerful project EOS based. Volentix has 4 products. The first of these is VDex, a decentralized stock market. Second, Venue wants to play an important role in the gathering of the Volentix community, which aims to create a dynamic community. Third Service, VERTO. Verto will be the wallet of the Volentix platform. This wallet can be used in the Vdex Stock Exchange. The final product of Volentix is Vespucci. This product will produce analytical information about the market, evaluate and score new ICOs on the market. Let’s closely examine the above-mentioned services. Is a dynamic community platform, which aligns and recruits the members of the Volentix community in order to support the distribution of the platform’s native VTX tokens and to promote awareness of the initiatives of Volentix. 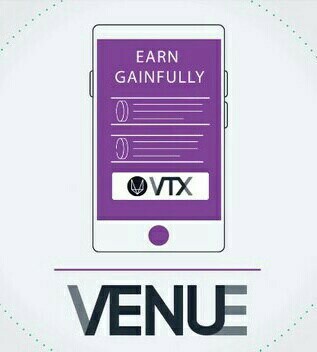 VENUE enables users to get VTX in exchange for their participation in submitting bug fixes and the claiming of bounties. 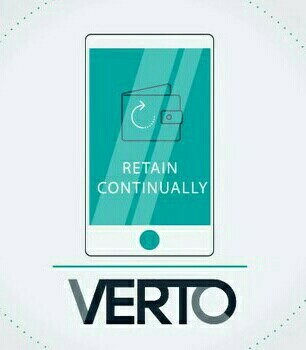 VERTO is a multi-currency wallet that ensures funds are managed continuously by the users of VDEX and facilitates personal custody and the local management of private as well as public keys, are ideal for peer-to-peer transactions with the aim of eliminating the risks of devastating losses of stake that often arise dues to traumatic failures of the central operators. VERTO employs smart contracts in maintaining the state between two trading clients. Vespucci is an analytics engine that is accessible through a user-friendly interface. It contains real-time and historical market data that includes sentiment analyses and digital assets ratings. 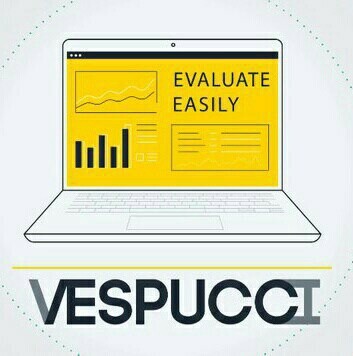 VESPUCCI brings to the user confident and comprehensive relevant market data by simply aggregating the information that is currently scattered throughout variety of websites, chat rooms, blockchains, and exchanges. 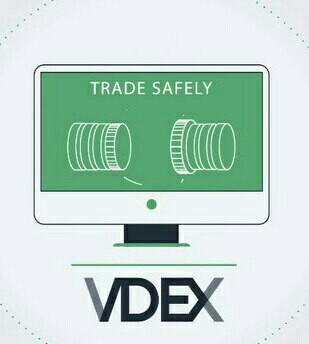 VDEX is the major pillar of the platform, which is a distributed and decentralized digital assets exchange that emphasizes on user experience, community development, and governance. Through accessing the established technologies and the planning of new protocols while prioritizing on speed, security, ease of use, authentication, multi-asset support, and scalability, the VDEX exchange facilitates peer-to-peer transactions by assembling a portfolio of DApps that are built on EOS.10 smart contracts. The VDEX exchange on the platform is continuously built with ergonomic and easy to use features as well as dashboard. Customization is available to ensure the provision of features and settings that suit both advanced and beginner traders. The assets of the user are not stored in a central location or on the exchange, but on the individual VERTO wallet of the user. This ensures the achievement of a great level of security by allowing each user to personally hold their assets as well as private keys. The VDEX exchange is scalable in that it allows for the bridging of order books with those of other decentralized exchanges. This allows for making of the VDEX exchange as a single liquidity tool for the provision of maximum benefit to the traders in cryptocurrency. The native currency of VOLENTIX is the VTX token. 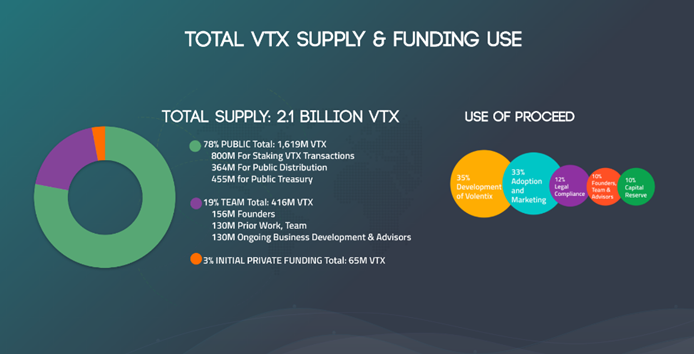 VTX is the cryptocurrency used on VDEX exchange and within the four pillars of VOLENTIX system for services. It covers areas such as payment of fees and submission of proposals to the network. It is also used on the VDEX exchange as a fee redistribution token, to vote on the submitted proposals on the network through the voting rights allocated to token holders, and to reward participants in venue campaigns.